Is it certain that a true poet occupies a place? Is the poet not that which, in the eminent sense of the term, loses place, ceases occupation, precisely, and is thus the very opening of space . . .
Identifying Southern women poets of innovative persuasion and showcasing their work in HOW2 has been full of pleasures and surprises. It was exciting to receive contributions from poets whose work I�ve admired for years, as well as to come to know the work of so many accomplished poets previously unknown to me. In one of the more delightful twists in the editorial process, I knew some of the poets from various websites � but because cyberspace sometimes obscures places of origin, I hadn�t a clue that these poets were fellow Southerners living in neighboring states. She�s one of us! I�d think, feeling a warm glow of regional solidarity. I limited the collection to poets currently living in the South. This excluded poets who spent their formative years here, or even produced mature work here, but who have since moved to other parts of the country. For example, Lee Ann Brown and Harryette Mullen grew up in Southern states, but are now living and writing in New York and Los Angeles, respectively. Perhaps some day there will be a collection of experimental Southern expatriate poets. In the meantime, part of my purpose here is to identify women experimental poets who are living in relatively close proximity to one another. I hope that the process of introducing them to each other � as well as to a larger audience � will encourage communication and generate collaborations, readings, and publications. Because of the efforts of New Orleans poet and publisher Bill Lavender in finding and gathering cutting-edge Southern poets, we are eagerly anticipating the appearance of our first anthology, Another South: Experimental Writing of the South (University of Alabama Press, 2002). This collection features the work of poets living in flourishing poetry communities, as well as those writing in more isolated pockets of vibrant activity. For example, communities of innovative poets have during the past decade or so been coalescing in places such as Atlanta, New Orleans, Austin, and Pensacola. Poets in these cities are organizing readings such as the Back Door Poets series in Pensacola, Lit City in New Orleans, and the series organized by Hoa Nguyen and Dale Smith in Austin. The Atlanta Poetry Group has for years gathered on a weekly basis to share work and plan collaborative projects, and it recently launched a reading series. Longstanding and new publishers regularly featuring innovative poetry include presses such as Lavender Ink, Skanky Possum and Runaway Spoon, and magazines such as Brown Box, Skanky Possum, Fell Swoop, Baddog, Holy Tomato, Exquisite Corpse, Mundane Egg, Verse, Lit City Broadside Series, Mudlark, Veer, Mesechabe, and 108. This incomplete list indicates an abundance of publishing and reading projects among Southern avant-garde poets. I love living in the South, but as an innovative poet I have sometimes felt remote from the meccas of experimental poetry in the West and Northeast. But to whom are �outlying districts� (to borrow a title from Anselm Hollo) �outlying�? Not to ourselves, who make our lives in a place and create our poetry from experience, and who know intimately the �tie that binds us to our homes,� notwithstanding all the poststructuralist theory in the world. For some poets in the present collection, place has marked their work with relatively few, if any, giveaway accents or landscapes. But to conclude that their work doesn�t partake in the local is perhaps to succumb to stereotypes of place, for these poets are as keenly aware of their experience on a local level as those poets whose Southernness is more recognizable. The poets in this collection who pointedly address Southern experience acknowledge place as a daily, lived experience and also complicate it so as to empty it of its worn, nostalgic and harmful categories. They explore the rich fluidities and open boundaries of their local experience. Their poetry is no mere exercise in updated local color and mythology, but rather an astute interrogation of the local in order to expose its solidities, its pluralities, and its absurdities. The South has no identity. It also has many identities, all provisional. Lastly, I want to ponder the extent to which the poets assembled here are part of a community of Southern poets with something in common besides our nominal home. After all, the South is, from the start, an extraordinarily diverse region geographically and culturally. Are our only discernible commonalities our increasingly distant Confederate past and our eternal heat and humidity? In what ways are we still haunted by the specter of the Mason-Dixon line? If we consider ourselves to be Southern poets in an other-than-geographical sense, in what ways? Sometimes it takes an indigenous Southerner like Evie Shockley to reveal the linguistic richness as well as the dangerous mindsets that arise from Southern cultures. And sometimes it takes a transplant to make us see afresh the peculiarly neurotic or eccentric voices and social relations around us, as in California native Jessica Freeman�s sharply satirical expos�s of Southern denizens. The work of Southern experimental poets needs to be seen as both an internally diverse phenomenon in its own right and also part of a larger movement within national and international poetry communities. In this sense, �The South� is a borderless region, a shape-shifting state of mind and mythology. Its innovative poets are, in their otherness, �dug in�; they are simultaneously native and exiled in their own homeland, whether they were born to that homeland or chose it. Sometimes they mimick and borrow in order to celebrate or scandalize. And for Southern poets who carry to other parts of the world a pinch of red, black or beige soil under their nails, �Southern� is a movable and malleable accent. Coexisting alongside the dialogue with place and experience among the featured poets is the ongoing and vital dialogue with innovative poetry of other regions and nationalities. We have both our Mina Loys, quintessentially cosmopolitan yet writing trenchantly about the places they inhabit, and our Lorine Niedeckers, living in relative isolation, yet acutely cognizant of their contemporaries. I�m delighted to present to HOW2 readers these eleven poets in all their plurality of approaches and voices. I hope you�ll find here, as I did, many surprises and much pleasure in the grittiness, humor, lyricism, edginess, and native otherness of these poets. Acknowledgments: Thanks to Cynthia Hogue for suggesting to me the idea for this undertaking. Thanks to the HOW2 editors, and especially to Ann Vickery for her support and help at every stage. Also, I�d like to acknowledge Bruce Andrews, Bill Lavender, and Hoa Nguyen for bringing particular Southern women poets in this collection to my attention. For directing me to the words of Levinas in the epigraph, I�m grateful to Michael Heller. And thanks to my companion John Clark for making suggestions to improve this essay. 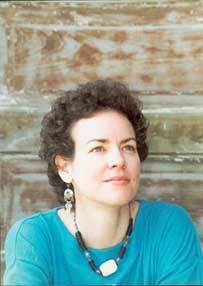 Bio: Camille Martin is a poet and translator who lives in New Orleans. Her collections of poetry include sesame kiosk (Potes & Poets, 2001), rogue embryo (Lavender Ink, 1999), magnus loop (Chax Press, 1999), and Plastic Heaven (Fell Swoop, 1996). She recently completed a new collection, codes of public sleep. Her work has been published in such magazines as Perspektive (also in German translation), Kiosk, Fiddlehead, Cauldron & Net, Unarmed, Moria, Poethia, and VeRT, and in the anthology Another South: Experimental Writing in the South (University of Alabama Press, 2002). Martin founded and co-curates the Lit City Poetry Reading Series in New Orleans. She is completing a PhD in English Literature at Louisiana State University in Baton Rouge.